Dual AIMCAL technical programs will feature 60 presentations, two keynote speakers, tabletop exhibitions and more. The AIMCAL Web Coating Conference and the AIMCAL Web Handling Conference (formerly AWEB) have a long, joint history of advancing the technologies of web processing and finishing. By bringing the state of the art to the plant floor, these technical programs address the problems and opportunities that are part of every manufacturing process. Now, after many successful years in the US, the two conferences are set to premiere this summer in Europe. Scheduled for the week of June 11-15 at the 4-star Diplomat Hotel in Prague, Czech Republic, the two three-day events overlap on Wednesday, June 13 (see box below). 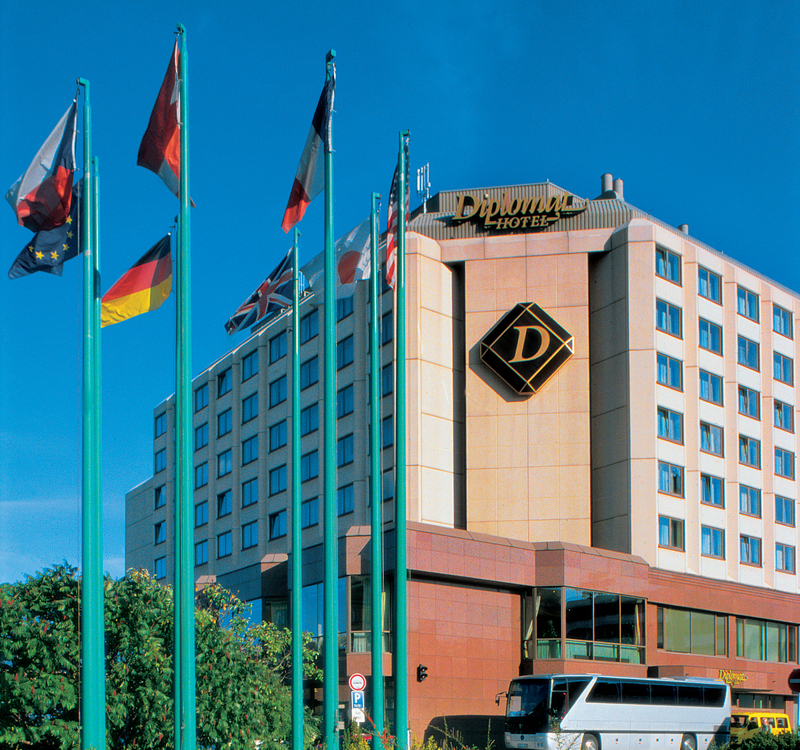 Surrounded mainly by diplomatic residences and close to Prague Castle and the historical city center, the Diplomat Hotel is renowned for its upscale business and conference facilities. The Web Coating Conference Europe is organized into two concurrent tracks – Web Coating and Vacuum Web Coating. Attendees are free to go between tracks to whichever presentations hold the most interest. Coating & Laminating sessions include coating techniques, substrate development, adhesives & coatings; and online measurement and cleanliness. Vacuum Web Coating topics are electronics; photovoltaics; barrier; measurement & monitoring; and tools & hardware. The Web Handling Conference Europe will cover rollers; web conveyance; drives; roll winding; and splicing. Each conference also features a tabletop exhibition, allowing attendees to meet with industry suppliers in an informal and relaxed reception environment. An added bonus for the 2012 European events will be a June 13 afternoon of R2R market overviews, led by AWA Research. This session is open to all conference delegates. WHAT: AIMCAL Europe Web Coating Conference & AIMCAL Europe Web Handling Conference 2012. The two separate three-day technical programs feature more than 60 presentations, two keynote speakers, five optional half-day short courses, networking receptions and two tabletop exhibitions. The conferences overlap on Wednesday, June 13, with a session on roll-to-roll market forecasts of interest to both groups. FEES: AIMCAL members: Web Coating 795€; Web Handling 595€; both 1,100€; Non-members: Web Coating 895€; Web Handling 695€; both 1,300€; Academia/Students: Web Coating 385€; Web Handling 385€; both 595€. Early Bird prices, which end May 20, 2012, are 100€ less in all cases. This entry was posted in coating/laminating, flexible packaging, labels, printed electronics, slitting/rewinding and tagged business, converting, flexible packaging, labels, packaging, paper, plastic film, research, solar cells. Bookmark the permalink.